Say Nothing, Act Casual: What I learned from Band Camp. What I learned from Band Camp. which refers to an unfortunate incident with a clarinet (I think), ceases to be funny after the first time. Which was about 30 people ago. And the kids are aged between 8 and 12. So it's completely inappropriate. And no, I don't have a sense of humour about this anymore. 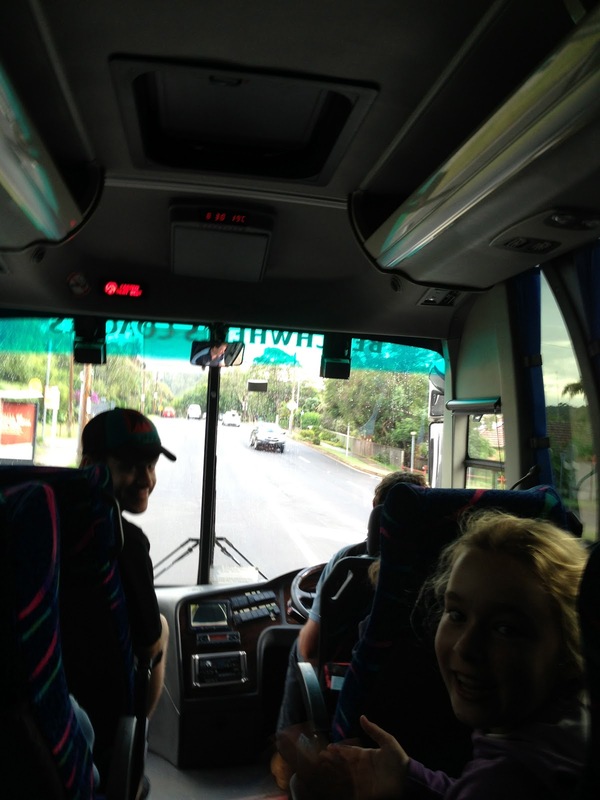 On the bus to band camp. With 45 kids. Shame there's no sound on this. We had 138 kids, 3 bands, 3 buses, 3 conductors, 3 teachers, multiple parent helpers, 8 instrument tutors, 70 overnight stayers, 8 meals, 138 instruments, 138 music bags, 50 billion drink bottles. You had to be ready for anything. So we tried to be. Contingencies for rain, massive first aid kit, lollies for sagging spirits, cuddles for homesickness. Of course, you can't plan for everything. At one point, I lost the entire Senior Band trumpet section. We ate a lot of chocolate. Please note: all food consumed on band camp is non calorific. It's like a road trip, but the journey is musical. The teachers were tireless and wonderful, the parent helpers endlessly energetic and cheerful, willing to put their hands to anything. And believe me, there were some strange requests. The guy who organised it has my undying devotion, as do all the people who made it come together. There were four birthdays to celebrate. With appropriate decoration and festivities of course. 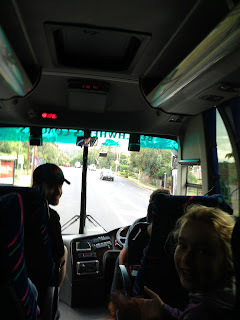 We had Year 3 kids (who didn't stay the night. They did last year, and it's never happening again). They are 8 and 9. They lose everything, their hat, jumper, music, drink, everything. They get tired quickly and become antsy. They need guidance, structure and sometimes a good kick up the bum. They also need a lot of running around or they become like wild animals. Bless them. Their enthusiasm is boundless. They picked up their instruments in February. They can now play a song called Shepherds Hey (yes it is a strange name), together, as a band and it sounds great. They worked bloody hard and should be proud of themselves. They are gorgeous. The year 4 kids, who did stay the night are 9 and 10. They are a bit more together. But a long band rehearsal will send them all a bit bonkers and they will need to go nuts on the oval for a period of time to relieve their energy. Senior Band. Because I can't show you their faces. Sarah in the pigtails. They were given a piece of music last Wednesday and played it (perfectly- in my opinion) for an assembly yesterday. A complex piece with tricky dynamics and phrasing (it's like, how you play it, not just the notes- I am clearly now an expert). And again, they worked their bums off and should be dead chuffed. I know these kids personally because it's Sarah's year and 'my' band. I have become inordinately fond of the lot of them. The year 5 & 6 kids have it all together. This is their 3rd or 4th band camp and they know where everything is, they know where they have to be, they don't lose their stuff and they are vastly more mature (well most of them), than the younger ones. As it should be. Of course some year 3s behave like year 6s and vice versa. I am generalising, just a little. 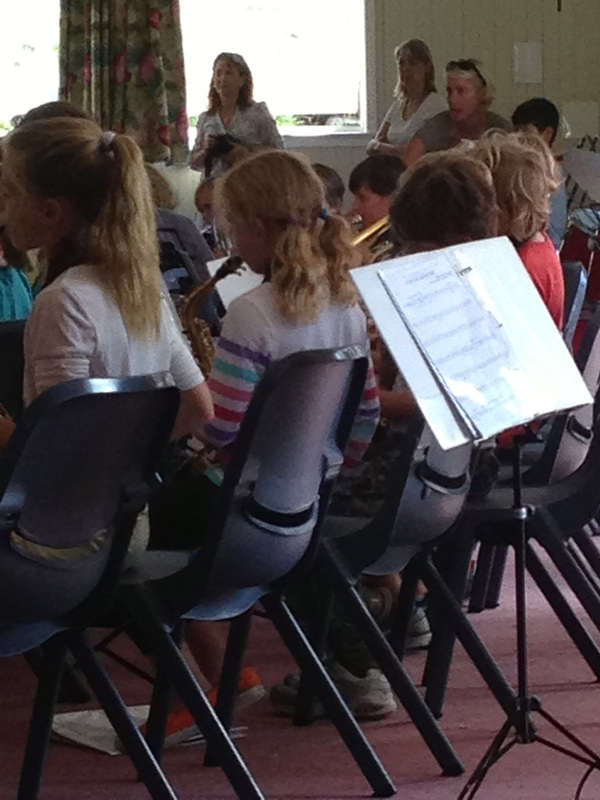 The Concert Band (years 5&6) can play a piece that gives you shivers down your spine, just like music should. They are confident, cohesive and talented musicians, having gone through the natural attrition of the band program and come out playing hard. They are phenomenal. 'nuff said. Be prepared to have your socks blown off. So even after the 125th child has come up and told you they've lost their -insert item here-, even after you've lost 4 clarinets and a trumpet, even after you've reset the band chairs for the 15th time so your band can arrive and begin their session as smoothly as possible, you are tired, but oh so proud. And when the parents arrive for the last session and they clap their kids until their hands hurt, you KNOW why you did it. And you find, that what started out a few weeks ago as being a stressful eater of a weekend, turns into an amazing experience, and a privilege you wouldn't have missed for the world. And of course a special mention to my co-band parent. You know who you are. You utter legend. The importance of being ruthless. Of a beautiful boy who rocks my world. The painful tale of the well made whistle. Five things I'm simply not ashamed of. Not camping or glamping. Campbining? The beauty in the darkness.